The article below was originally published as a Salon97 guest post for BookRiot.The fabulous folks at BookRiot run a wonderful website that brings out the “cool” in all things books and reading. Check them out! Occasionally I come across a book that simply begs to be enjoyed along with a playlist. I have a field day with such projects. In actuality, I generate a lot of playlists—at least one per month for my non-profit’s classical music salons—and being asked to put together an event (and therefore a playlist!) 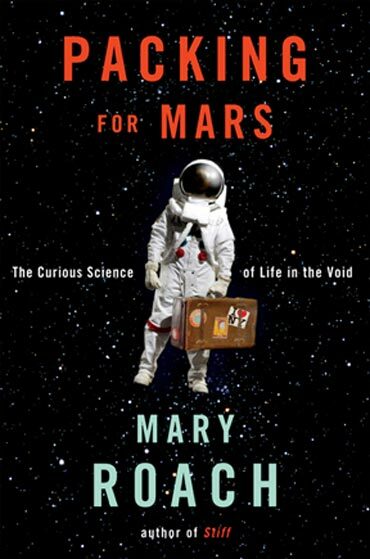 for the San Francisco Public Library in honor of Mary Roach’s Packing for Mars, was a true honor. What could be more fun than a playlist to accompany a book about visiting outer space? Not much! First off, if you haven’t read Packing for Mars, you should. It’s hilarious, informative, fairly crazy, and did I mention hilarious? Strauss’ Also sprach Zarathustra was an homage to Nietzsche and his work by the same name. Man and nature are depicted by contrasting tonalities in Strauss’ work. You have definitely heard the first minute or two of this piece before, but it is very likely you have yet to listen to the work in its entirety. Now is your chance! Richard Strauss was known to depict emotion readily in his compositions, so keep this in mind when listening to Also sprach Zarathustra. Other hits by Strauss include Don Quixote and Salome. While most composers create increasingly avant-garde works as they progress through their careers, Strauss’ works became more traditionally “classical” as he grew older. Many of his later works are downright Mozartean. Johann Strauss and Richard Strauss are not related! You’ll recognize “Sunrise” as the most famous portion of Also sprach Zarathustra, as you have most likely heard it in the intro to 2001: A Space Odyssey and in approximately 1,000 other films and cartoons. The concept of this piece is super cool. More on that below. There isn’t a melody and it can sound fairly detached and haphazard, but it is certainly worth a listen. Beauty is in the eye of the beholder with this one. Some of you will feel as though you are speeding by comets and constellations as you listen, and others will want to move onto our next selection to get your outer space fix. John Cage didn’t begin composing until age 19 (a late start in this profession) yet he is said to have had the most impact on 20th century music. Interactions with composer Arnold Schoenberg were the inspiration for Cage becoming a composer. He championed the aesthetics of silence and chance operations (i.e. rolling dice to determine note length etc.). Atlas Eclipticalis was developed by placing music manuscript paper over Czech astronomer Antonín Becvár’s star charts. The size of the stars equated the volume of the notes in the piece. Holst’s The Planets is a great listen and has tons of melody for those of you who are looking for that. There is one short movement for each planet. Super fun! As a child, Holst learned to play the trombone as treatment for his problems with asthma. He also learned the piano and violin. He was best friends with fellow composer Ralph Vaughan Williams. Most of Holst’s career success was owed to The Planets. So much so that audiences expected his subsequent works to be similar to his prior masterpiece. Holst claimed that his newfound influence from Igor Stravinsky greatly influenced The Planets. The Planets was not intended to be based on astronomy, but rather on astrology. So, there you have it. Time to read and listen! Each of the pieces mentioned above is available for download from most online music stores.